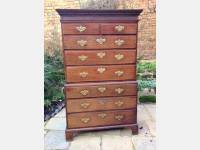 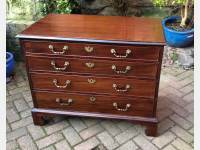 All our chests are restored to the highest standard. 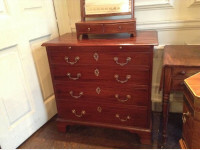 Our shop holds a larger stock than are shown here, especially if you are looking for smaller items. 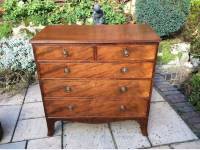 All our chests of drawers are 17th Century to early 19th Century and include mahogany, oak, bow-fronted, flat Fronted, with splay feet or bracket Feet.